Sony has multiple divisions with a stronghold in the movies, smartphones and tablets, besides the gaming industry. In recent times, buyers’ interest in buying mobile phones has steadily decreased, which made it really difficult to sustain in the market. In their financial call, reports confirmed that Sony is not doing well in most of their divisions except for a few. The company’s smartphone division is one area which is taking a huge blow year after year. Despite releasing some good devices including the flagship Z3+, their average sales has dropped by at least 16.3 percent in 2014. That’s a lot of market share to lose in such a short time. While the company reported that it occurred mainly because of their lack of investment and strategic management, analysts confirmed it is caused by new entrants like One Plus, Huawei and Asus. These small time manufacturers have become huge in such a short period and sell flagship phones at one third of the price. Obviously, buyers are interested in those flagship alternatives that are cheaper and can readily be exchanged when a new one is launched. Sony is not interested in focusing on budget phones but have a strong eye on the Z3+, among other flagship devices. The market has changed a lot in recent years, which the company refuses to accept. Due to repetitive losses, they sold off ‘Spiderman’, one of their biggest superhero licenses to Marvel. While the reports sound negative in every aspect, Sony managed to make thrice the profit which is pegged at $665 million. The credit for this success goes to their gaming system, the Playstation 4 console that saved the day. The company has sold over three million units in 2015 and a total of 25.1 million units so far. It adds a major share to the total revenue earned by Sony in the last twelve months. While PS3 isn’t selling as fast as it used to, the last gen console helped make $160 million. Sony reported that their Playstation 4 console is selling twice as fast as Microsoft’s Xbox One in Europe. The console has won the race despite the lack of exclusive titles and holds a strong lead against its competitor. The company’s imaging division sells sensors to some of the big players in the industry including Samsung and Apple. 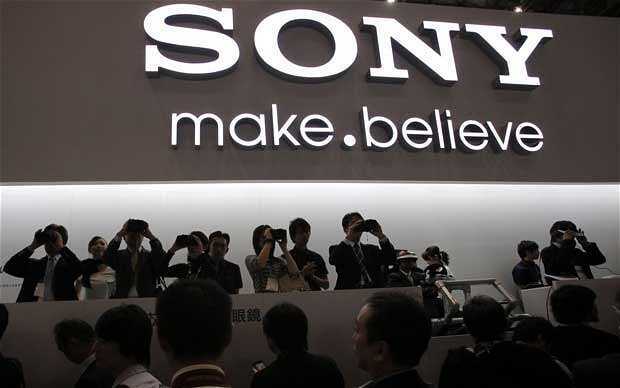 They have made $2 billion in profit which has triggered Sony to tie up with a Japanese robotic manufacturer to create drones, as they believe it will help boost their revenue.